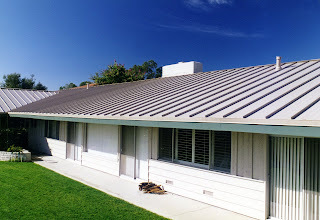 Metal Roofing Contractors Ohio Blog: CHOOSE METAL - The Roof Is the Most Important Part of Your Home! CHOOSE METAL - The Roof Is the Most Important Part of Your Home! Metal roofs are incredibly durable and desirable they add approximately $1.45 per square foot to a home’s overall value. And, in case you are wondering - Insurance companies give discounts of up to 35 percent to homes with metal roofs because when properly installed by a professional metal roofer metal roofs are virtually impervious to wind, hail, and fire!